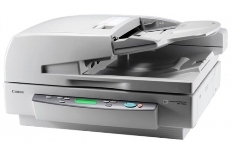 Canon-DR-7090C-Scanner High-speed, high quality sheetfed or flatbed color capture in one universal package. A3 size, with ADF and flatbed. Equipped handle tacks of documents up to A3 Size (11x17in. ), plus longer documents.